Are you in the research phase for all the ins and outs of RV living? This was us back in the winter of 2017, so we completely understand how stressful this part is. You have a bazillion questions, right? Those bazillion questions are keeping you up at night, right? You’re thinking about selling your house. You’re thinking about purchasing that home on wheels. You’re thinking about tow vehicles, how much it costs to live in an RV, if RV parks are safe, what your friends and family will think…and the list goes on and on and on. Guess what? We’re here to help. When you’re thinking about and planning towards full-time RV living, there are a lot of pieces to put into place. And all of those pieces can be completely and utterly overwhelming. When we first started the process, we made a list. This list consisted of all the things that needed to happen in order to actually move from our 2,200+ square foot house to our tiny home on wheels (around 200 square feet). 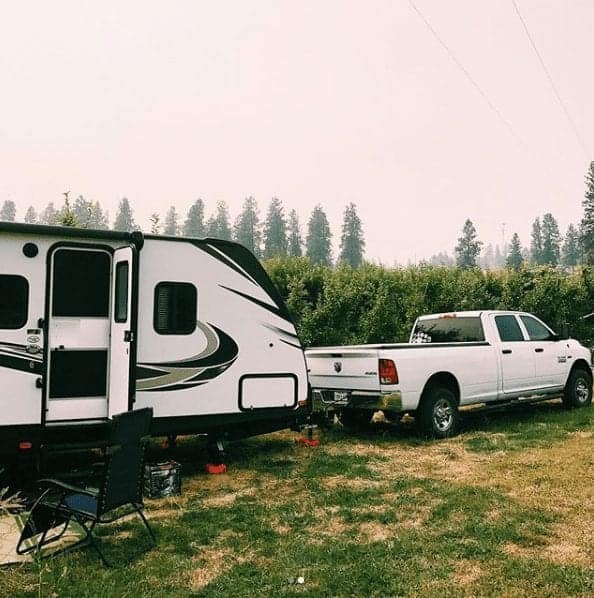 We also spent a ton of time checking out full-time RV blogs, watched an embarrassing number of RV videos and travel videos and basically ate, drank and slept the idea of this RV lifestyle. At one point, we got so overwhelmed and so scared of the unknown that we almost quit. We were asking questions like is this lifestyle really worth all this headache and hassle, what if we go through all of this and we hate it, what if running a business on the road doesn’t work, plus fears, fears, and more fears. Side note: You can read our blog post and watch our video covering our top five fears that almost kept us from living the full-time RV life here. 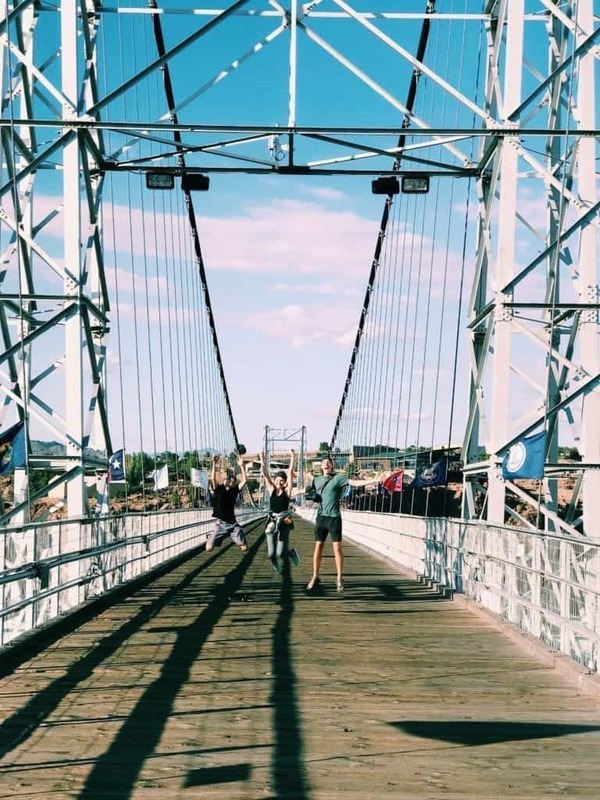 What we wished we had back then was a step-by-step guide to get us from point A (the scared and confused almost-ready-to-quit point) to point B (the full-time RV life). We needed someone to hold our hand and tell us we’re pretty. Wait, just kidding. 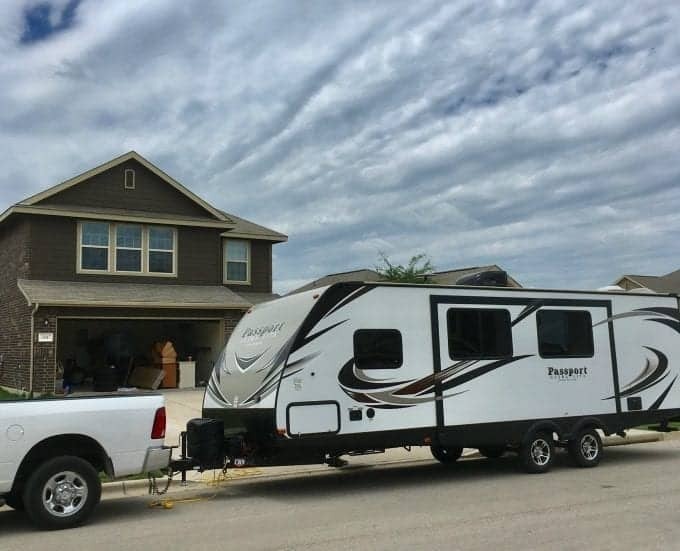 We needed someone who had been through this process to share what they did to get themselves on the road and officially become full-time RVers. Now we know everyone’s journey will be different. Some of you will already own your RV. Some of you won’t have a house to sell. Some of you are empty nesters and don’t have to worry about the kid factor in all of this. Some of you have been planning this for years and have slowly been getting your ducks in a row. So all we can do is share our journey and hope that some of it helps answer your questions and relieves a bit of stress. Phew! That’s a lot of steps right? As I’m typing this up and reliving some of these decisions we had to make, I’m amazed that we actually made this happen because wow that was a stressful/difficult time. But, it was so very worth it. The experiences we’ve had together as a family have brought us closer together and we’ll always have this special time in our lives to reminisce about for literally the rest of our lives. 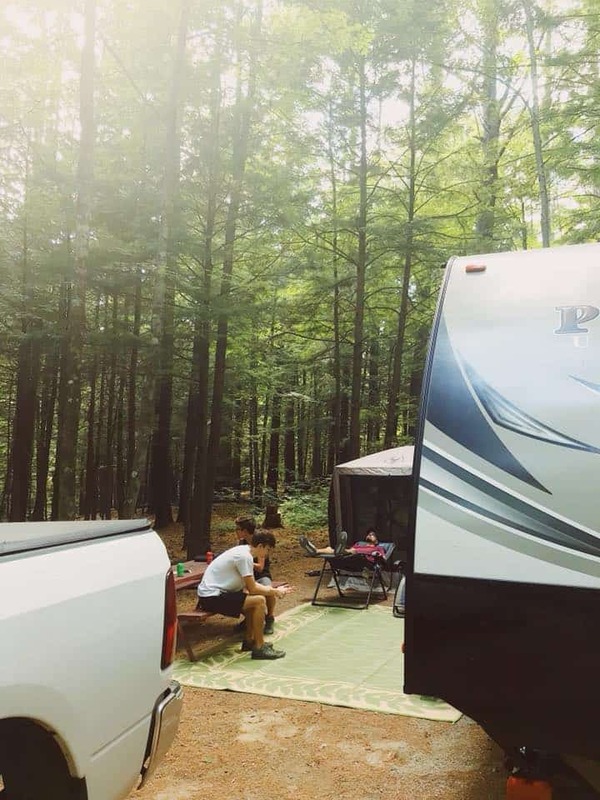 RV Love – they were a huge help when we were researching our Thousand Trails membership options, which is a campground membership program that has saved us so much money at RV parks. The in-depth info they gave was invaluable. 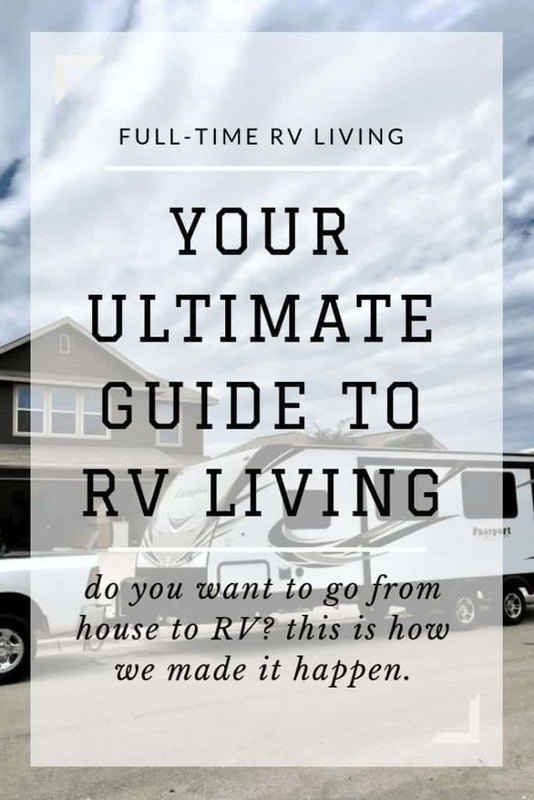 Heath and Alyssa – Not only does their blog provide great information on full-time RV living, but Alyssa wrote a book titled “A Beginner’s Guide to Living in An RV: Everything I Wish I Knew Before Full-Time RVing Across America“. 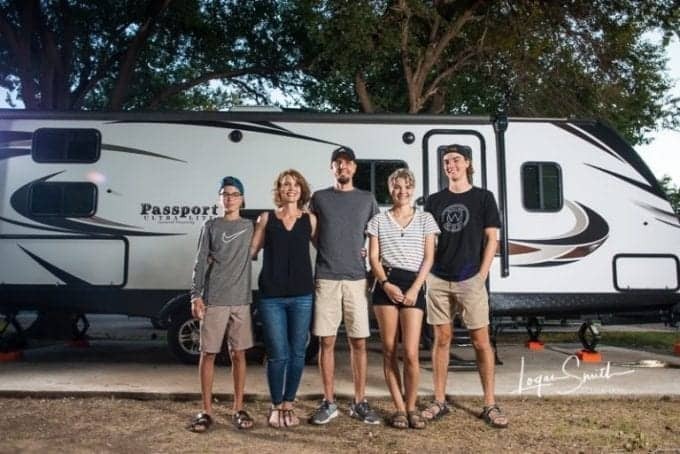 They also have a phenomenal Facebook group called The RV Entrepreneur, which is the resource for the RV community for business topics, making business connections and finding out ways others make money while traveling. Once a year they put on The RV Entrepreneur Summit at a campground. It’s a conference for nomadic entrepreneurs and while we haven’t attended (yet), we’ve heard really good things about the event and have watched some of the sessions online. Technomadia – They are the go-to resource for technology + RV living. If you have questions about RV internet solutions or satellite TV or outfitting your rig for solar…they are your people. 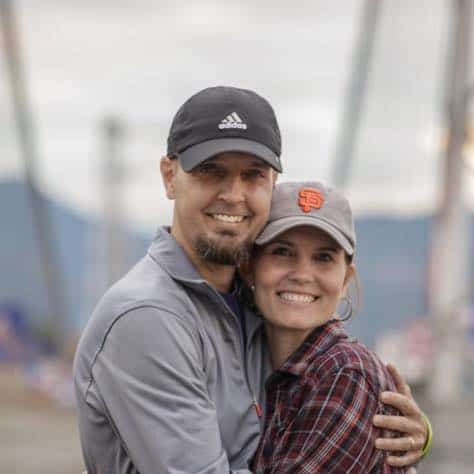 Bonus Blog: Making Sense of Cents – Michelle isn’t an RV blogger, but her and her husband + their 2 dogs do (did) live in an RV full-time while running a highly successful blog. She was my go-to source for blogging on the road. They have now transitioned over to full-time sailing and that lifestyle is absolutely fascinating to me. Keep Your Daydream – They are a good combination of RV living basics + things to do in certain locations. Plus, they’re probably the most likable YouTubers I’ve ever watched. Less Junk More Journey – If you’re going to be traveling with a small child, they are a fantastic resource. RV living is all their little girl knows, plus they’re going to have a new baby while still on the road and will be navigating through all of that. It’ll be fun to see how a baby + RV life works. Drivin’ and Vibin’ – This RV couple have no kids and they’re also renovating an Airstream. It’s been fascinating to watch their process! Alright, we’ve quickly covered the steps we took to make this RV lifestyle happen, our go-to RV blogs and our favorite RV YouTubers. Now, let’s dive into the steps more in-depth. We traveled Europe when we were dating. We traveled and lived in Alaska, New Mexico, California, Georgia and Texas when Todd was in the Air Force. We moved to Colorado on a whim and then to Texas, also on a whim. We’ve taken our kids to Colorado and California on vacations. Our two oldest kids went to Honduras. That was our why. We wanted to travel more, to show our kids the world and to do something a little different and challenging. We believe figuring that out is a crucial first step to this process because that ‘why’ is what will keep you going through the difficult times. We almost threw in the towel and decided not to full-time RV. It all became a little too much and our fears had a hold of us and wouldn’t let go. So we had to go back to our why in order to make this happen. When we decided to put this idea in front of our kids, we had a daughter in college, a son that was about to graduate high school and a son in middle school. The logistics of all of this seemed a bit daunting. We had questions about how our daughter would feel having us so far away at times after only being about 3 hours away from her for a year. We wondered how she would feel as she’s in class and we’re out hiking in the mountains or kayaking in the ocean. (Side note: this has been hard for her honestly.) We had questions about how this would all work when she’s on her summer, winter and spring breaks. It did seem like kind of a logistical nightmare, but we’ve made it work. How did we go about sharing this idea with her? We FaceTimed her and said something like ‘what do you think about the idea of us selling our house and moving into an RV for a year?’ And she said something like ‘um…what? !’ and then we talked through it some more and some more and yes, some more. Long story short, she knew some of this would be difficult, but she was on board with it. And this journey has taken her to Canada (twice) and both the West and East coast. Although she’s with us only part of the time, she’s seen more than a lot of adults have in their entire lifetime. Throughout his senior year, our oldest son was struggling with what to do after high school. He just felt like immediately going to college (or even going at all) wasn’t the path for him. And what do the vast majority of kids and teachers and principals and adults only talk about as you’re nearing graduation? College. What colleges have you applied to? Aren’t you so excited about college? Why don’t high schools encourage college alternatives and the kids who college isn’t right for? Let’s not forget about them. Let’s celebrate them too. Let’s make them feel like their decisions are just as valid and their lives have just as much value and potential as the college-bound. He loved the idea of non-traditional schooling and as one of his birthday presents, we actually pulled him from school and started homeschool in February, even though we weren’t leaving until May. Part of his schooling ended up being everything it took for us to hit the road. From RV and truck shopping to pulling the travel trailer for the first time to route planning, this was hands-on learning at its best. In the few RV living Facebook groups we’re a part of, one of the things people who are about to embark on this journey stress out over the most is their material possessions. They have a hundred questions swirling around in their heads while they’re trying to sleep at night. Do we store all our stuff? What if I regret selling my things? What happens if this lifestyle doesn’t work for us and we have to move back into a house? What’s the best way to sell our stuff? The best question to ask in this decluttering process is quite simple: What do you want to do? Not, what are other RVers doing? Not, what do your friends think you should do? Not, what will other full-time RVers think if we don’t sell everything? Do you want to sell everything and not mess with a storage unit? Great. Then do that! Do you really like your household furnishings, have family heirlooms and the thought of letting go of those things kills you a little inside? If so, store them! It’s up to you. There’s nothing wrong with either answer. Make it work for you. Now, whether you’re selling everything or not, most likely you’ll have to declutter regardless. This step can be extremely emotional and just about send people over the edge. Here’s what we recommend doing and what we did personally. When just the idea of the task of decluttering started to overwhelm us and give us heart palpitations, we decided the easiest way to go about this was room by room. And the room that made the most sense was the room that held most of the items we didn’t use or see on a daily basis. Our garage held all those boxes of items that went with us (often unopened) from move to move to move. So we started there. We went box by box and sorted everything by what we would keep, sell, bring with us or donate. We continued to do this room by room until we were done. 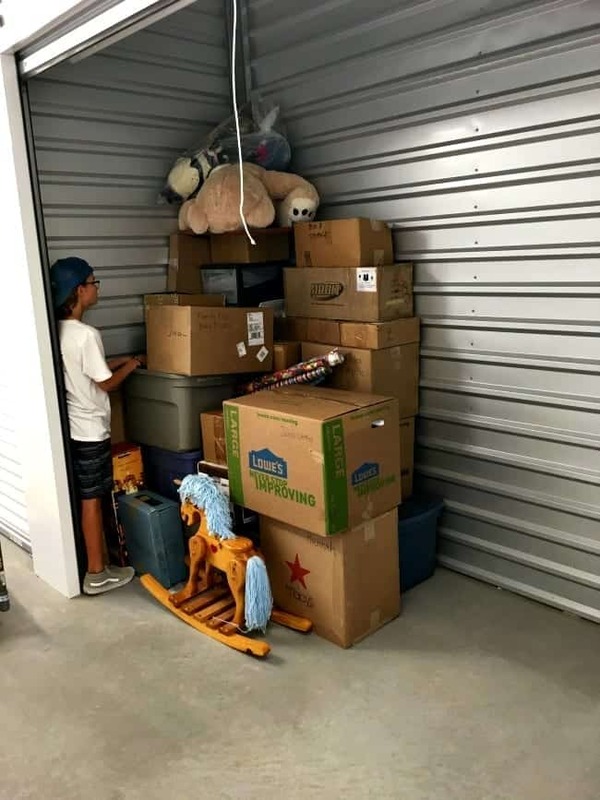 A few dozen trips to the donation store, the storage unit, and a few garage sales mixed in for good measure, and we had officially tackled the decluttering process. So, just start with one room. That one room will lead to the next room and so on and so on. Next thing you know, you’re done and one step closer to full-time RV living.